Over 100 professional, semi-professional, amateur and student artists - painting, sculpture, mixed media, photography, print, textile, drawing. For information on participating in the Members and Friends Exhibition please see here. The film is inspired by the transformation that occurs in nature in the time between the sunset and sunrise. The work explores the interaction between the Sun King represented by a female embodiment of a Goddess and the elements of nature. 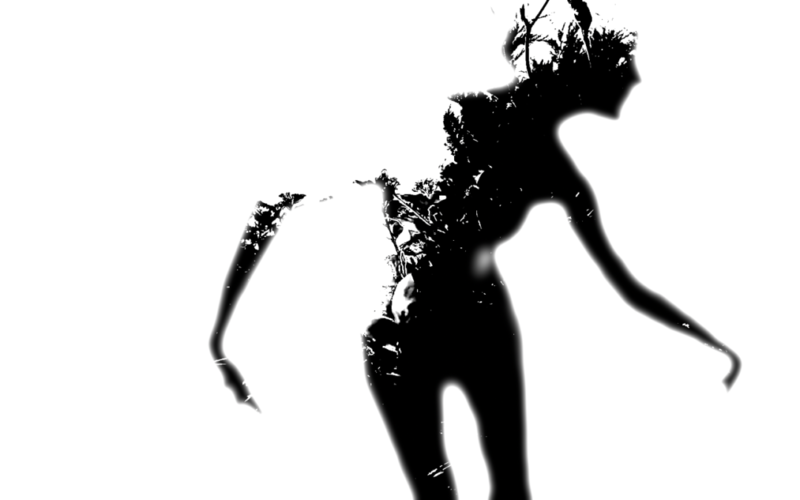 The film is part of a collective screendance work produced by International de Video Dance de Bourgogne depicting various artistic representations of Le Ballet de la Nuit (The Ballet of the Night), a 13-hour ballet which debuted the talents of fourteen-year-old Louis XIV as Apollo, the Sun King. View the film trailer here. Luke Murphy's contemporary dance performance Carnivore (24 and 25 May at Uillinn) includes large scale, sculptural elements by artist Alex Pentek. Implicate and Explicate Order is an installation of Alex's new origami and scientifically inspired sculpture. Exploring ideas of connectedness, these ongoing themes and forms give context to some of the visual elements created for the Carnivore performance. With a multi-faceted sculptural practice, Alex Pentek’s body of work covers a variety of materials from large scale public realm sculptures in steel, to gallery based paper works. Alex’s paper sculptures blur the boundary between engineering, magical trick, Mobius form and mathematical construct. Often creating new origami folds for this work such as his star-shaped pattern and stellated icosahedron (which you can download to make here; http://alexpentek.com/studio/), in designing his paper-sculptures, he uses a mixture of mathematics, drawing, 3D computer modelling and precise origami paper folding techniques. Alex is also a drummer in a blues/jazz band and is drawn to Eastern ideas of memorised response; a non-western approach that values a quality of knowing or understanding created through rhythmic repetition. The Engagement Project, involving studio artists from the Kilkenny Collective for Arts Talent (KCAT), artists from very different practice contexts all over Ireland and curator, Catherine Marshall, is now ready to take the work of the last four years to new audiences around the country. Following a symposium at KCAT in Callan, Co. Kilkenny at the end of 2018, an exhibition drawing on the work of the 28 artists who have been working together in residencies and other forms of engagement since 2014 will go on show in 2019/2020. Commencing in June 2019 at Uillinn: West Cork Arts Centre, Together Now will travel from there to the Ballinglen Art Foundation and Ballina Arts Centre in Co. Mayo, the OPW galleries at Farmleigh and Dublin Castle and the F.E. McWilliam Gallery in Banbridge, before finishing back in Callan. The work on show will have been made as a result of collaborations and conversations between the studio artists and artists who prioritise social engagement, performance, installation and a variety of media from film and video to very un-traditional interpretations of traditional media such as painting and sculpture. 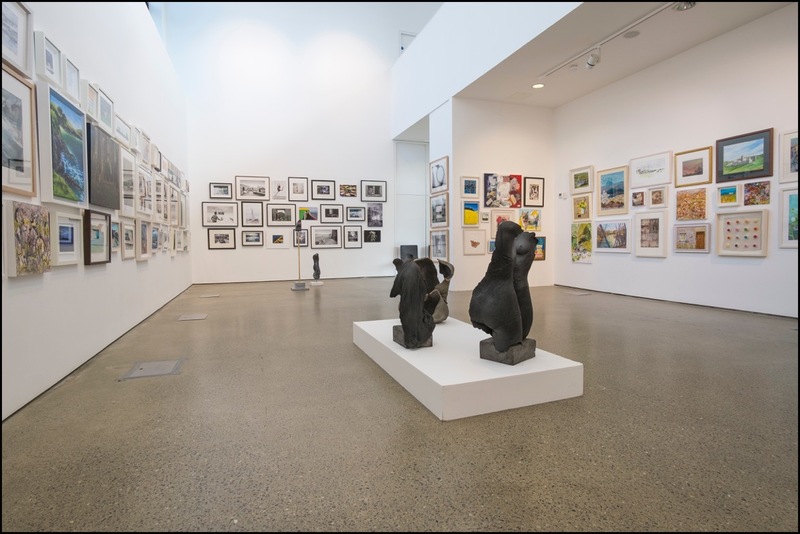 Artists who are engaged in these collaborations of hand and mind include Alistair MacLennan, Paul Mosse, Mary Ann Gelly, Kathlyn O’Brien, Anna Spearman, Rachel Parry, Dominic Thorpe, Sinead Keogh and Nevan Lahart, with studio artists Andrew Pike, Mary Cody, Declan Byrne and many others. The exhibition will be engaging, challenging, colourful and fun. Most of all it is designed to encourage active participation in the debate about how everyone can make art. 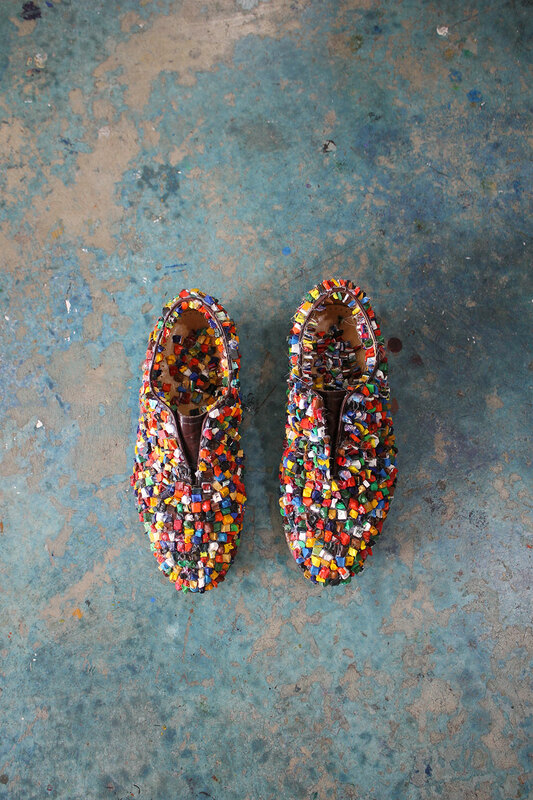 Image: Declan-Byrne, Shoes, 2016, Engage-project. The Past Is A Foreign Country by Anita Groener, addresses one of the most pressing issues of our time–the refugee crises–and our response to it. What is it to be human today? 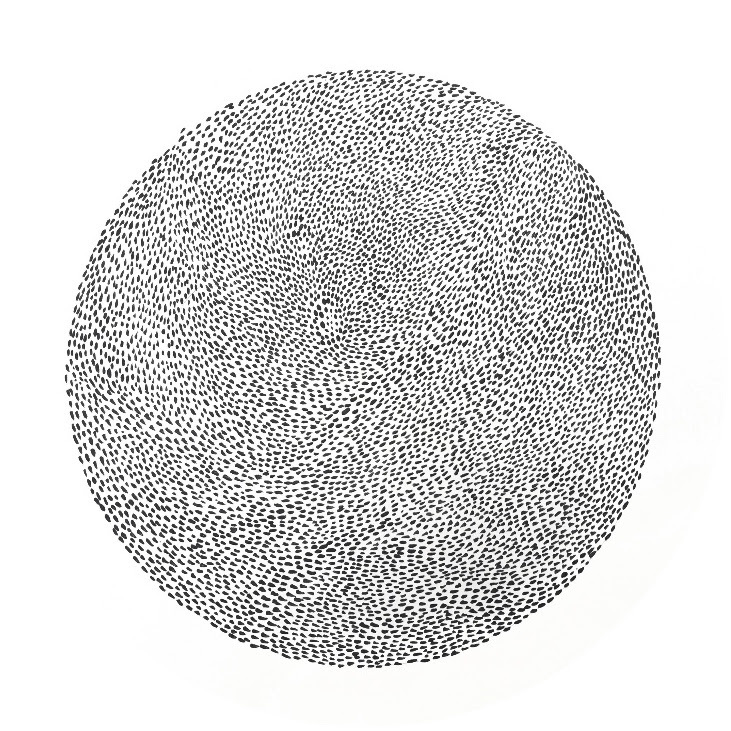 - through drawings, large scale installations, film, and animations, Anita Groener explores the tissue of trauma and loss rooted in this question. She makes work for what still needs language, experimenting with both figurative and abstract geography. The deliberately modest means of the work (twigs, paper, pins, twine and gouache) speak to the fragility of life and society that refugee crises expose. Her art asks questions about the ethics of witnessing atrocity and aesthetic response. in collaboration with Limerick City Gallery of Art, The Dock, Carrick-on-Shannon and The Lab, Dublin. Image: Anita Groener Everything is Standing Up Alive, 2018, polymer gouache on paper. Jack Kornfield in A Path with Heart describes ‘taking the one seat in the centre of the room, opening the doors and windows and seeing who comes to visit.’ When we take the one seat in Buddhist meditation it is said we become our own monastery. We create the compassionate space that allows for the arising of all things such as sorrow, loneliness, shame, desire, regret, frustration and happiness. A chair or seat is a piece of furniture that holds and supports the human body. In these paintings, the body is absent but implied. The intention is to create a pause or resting point for the artist and the viewer. The gallery, not unlike the secular church, stands as a temple between life itself and art. The sound recording of the dawn chorus is the natural orchestration of birdsong with the advent of dawn after dark and Spring after Winter. It is a homage to the Natural World with respect and wonder. 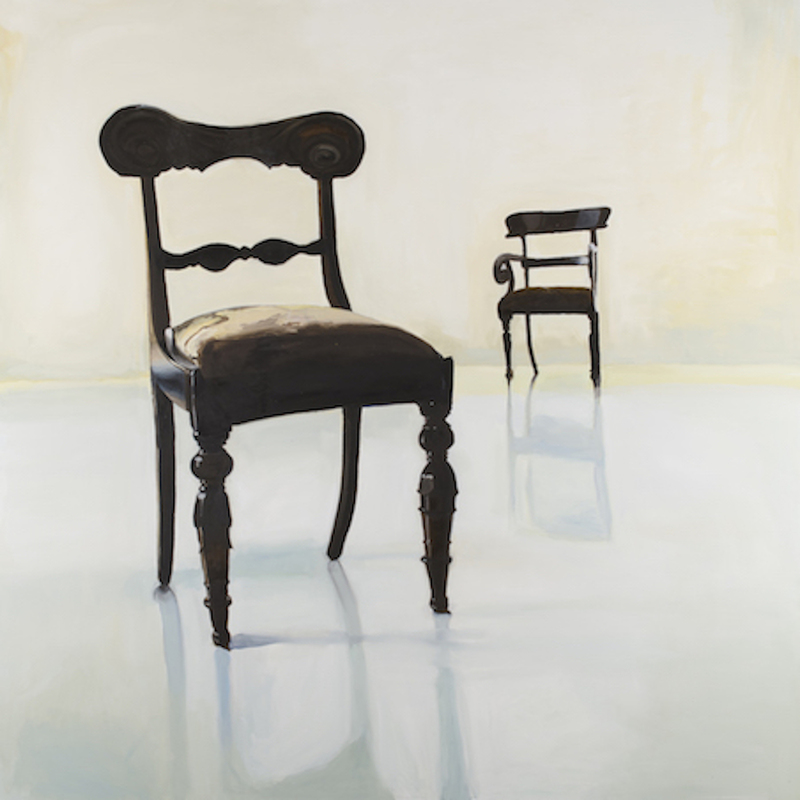 Chair: Mary A. Kelly is a solo exhibition curated and initiated by Aoife Ruane, Director, Highlanes Gallery, Drogheda (9 February – 13 March) and presented in partnership with Uillinn: West Cork Arts Centre, where it will tour to in the autumn (26 October – 12 December), after exhibition at Custom House Studios (6 – 30 June). The exhibition was granted an Arts Council Touring & Dissemination Award. The exhibition is generously sponsored by Anglo Printers, Drogheda, one of Ireland’s leading and innovative print solutions providers.